The flowers are awful cute! Looks like a fair bit of work there! 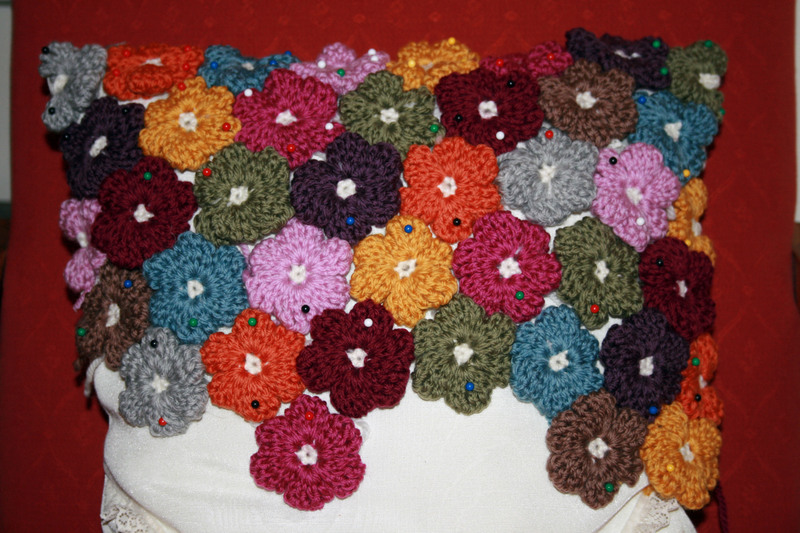 Lots of work to sew together but actually quite quick to make each flower. Awesome work! I use Ravelry too. Still labouring away with this one. Thank you, I am keeping at it, determined to get it finished. Thanks for sharing. I enjoyed hearing about your experience. The flowers are beautiful! Thank you for visiting, I look forward to seeing you again soon. Thank you, I will be over shortly to check out your waistcoat project, it sounds gorgeous. I know you are right I just need to keep at it and get it finished. I loved you journals, they are beautiful, I will be visiting your etsy shop come christmas shopping time for sure. You are one clever lady. That is absolutely gorgeous! Beautiful work, you should be proud! Thank you, I am sure I will be if I persevere and get it finished, I appreciate the encouragement. 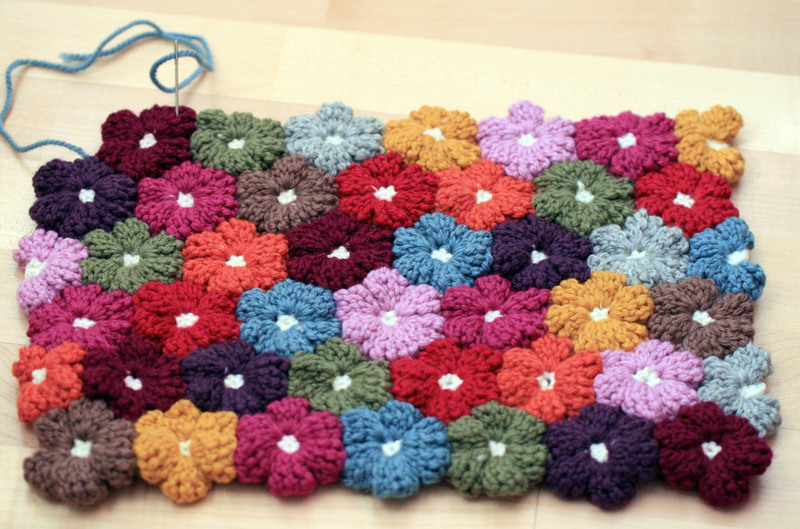 Pleased you love it, I do too even though I should have joined the flowers together as I made them and sewing them together now is challenging it is worth the effort. I simply love this. 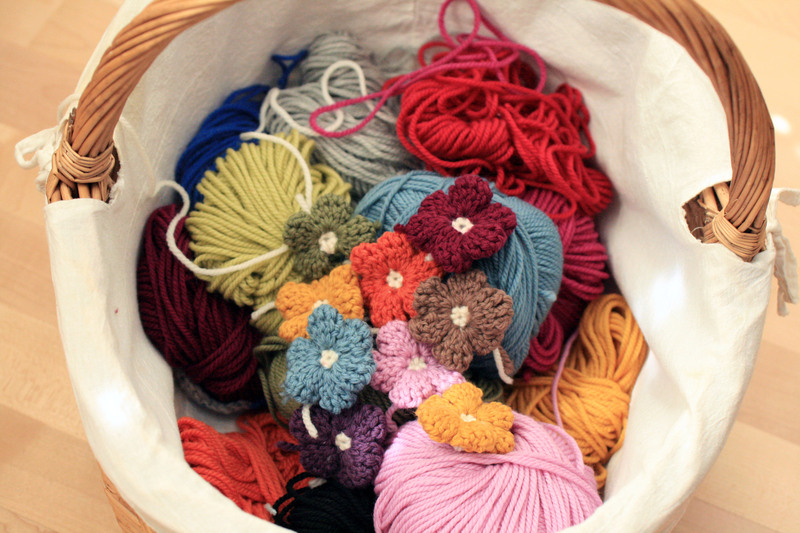 Definitely pinned to my crochet to do board! Thank you so much for pinning it. Well what can I say, it is taking me long enough but thank you I am so pleased you like them. The fleeces you are washing look amazing, I can’t wait to see what happens to them next. Thank you, I have had a really long day at the office today and am just about to start sewing again for some relaxation. Sounds like you deserved it, enjoy! Gosh this looks sumptuous – the flowers look so plump and pretty! It is lovely just hard work sewing together, I will do it again but will definitely join as I go. You sure have your hands full there – ! The work looks adorable, though. Sure have, it’s driving me crazy sewing them together!